So said Gary Kasparov, chess grandmaster, one year before he lost to Deep Blue, IBM’s chess-playing supercomputer. 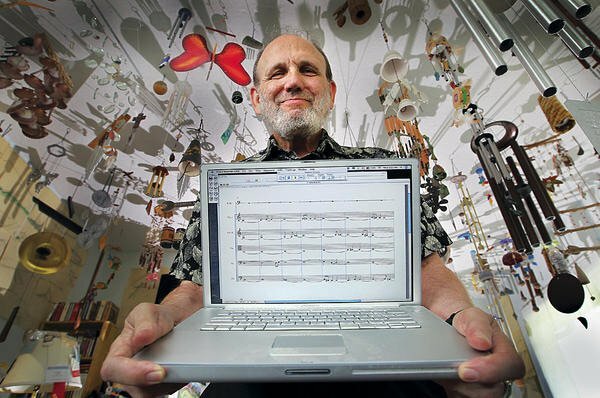 Meanwhile, a relatively anonymous professor of music in California had created a computer program capable of composing pieces of music in the style of great composers that most people could not differentiate from authentic compositions. The professor, David Cope, named this program Experiments in Musical Intelligence, or “Emmy”. Since then, Cope and his successive programs have been the objects of both celebration and scorn, challenging the world’s perception of what musical creativity entails. Cope’s argument, and the basis for his software, is that creativity is essentially recombinant: consciously or not, all composers plagiarize their progenitors and contemporaries. What makes his (or Emmy’s) work superior to the stilted and awkward compositions of earlier programs are two fundamental insights into the syntax of music. Rather than rely on the traditional divisions of musical notation, Cope developed an analytic musical syntax that goes into what Douglas Hofstadter (of Gödel, Escher, Bach) terms the “tension-resolution status” of a piece, the two forces that underlie all music. Secondly, though the program composes according to formal rules, it also uses heuristics that allow it to sometimes ‘break’ its own rules in innovative ways. The overall glance of your site is excellent, let alone the content! he should also go to see this blog on regular basis to obtain updated from most up-to-date news. It’s really a great and useful piece of info. I am glad that you simply shared this useful information with us.